Attendees will gain an understanding of the Lean-Agile mindset, why it’s so effective in today’s adapt-or-die marketplace, and what it means to lead a Lean-Agile transformation. I am a coach and trainer. 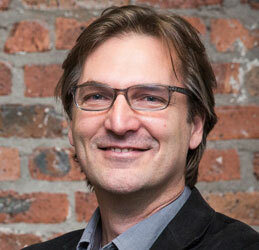 I'm passionate about helping to create environments where people can excel. Over the last 20+ years I have worked in many different industries from the collar and tie of large corporates to the hard-hats and steel-caps of manufacturing. In these industries, I have been responsible for building and leading teams in the delivery and support of customer value. I have discovered through this journey that true organisational agility has very little to do with frameworks and processes. True agility is about people how they interact with other people. We need to focus on creating cultures that self-assess and adjust over time. This is the only way we can ensure that the accumulated learning and behaviours we pass on are those that we truly value. Is this certified scrum master training? Yes, Scrum Master has 2 options in terms of training. DVT presents the official international Certified Scrum Master training course (this one) as well as SCRUM training which is locally certified. Both are very valuable courses with the SCRUM training course being more cost effective for teams. 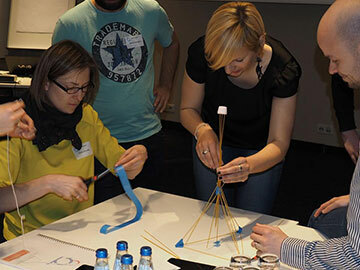 How is a Scrum master course different to a PMI project management course? SCRUM is still one of the most popular frameworks used in Agile today. Whereas most Agile courses (including PMI) focus on Agile and Agility, this course is specific to the SCRUM framework used in Agile. Does the SCRUM course cover Kanban principles? The SCRUM course does not cover KANBAN. DVT does, however, combine SCRUM and KANBAN in a 3-day course that covers both. 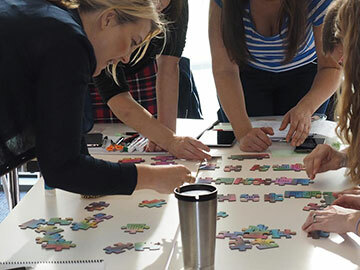 SCRUM and KANBAN can be combined in forming an Agile framework specific to your environment yet utilising the best elements of two brilliant frameworks. Agile Coaching is a vital part in customising an Agile framework to work for your unique environment and unique challenges. Should I consider SAFe certification? The Scaled Agile Framework is a brilliant and detailed framework referred to when Agile is used in larger organisations. SAFe is a good framework to understand since it adds a few additional roles and ceremonies to KANBAN and SCRUM forming a framework that can scale for large teams and organisations. 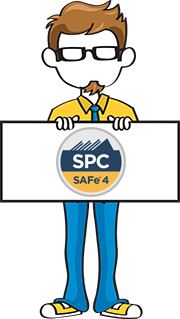 Should you be looking for answers to scaling an Agile implementation or Agile for larger cross-functional teams, SAFe is a good course to consider. The SCRUM framework also has many scaling options for instance by introducing SCRUM or SCRUM ceremonies or looking into due track SCRUM. Does the course cover Lean? The core idea of Lean is to maximize customer value while minimising waste. All Agile Frameworks (including SCRUM and KANBAN) are based on the Lean principle with regards to value-driven focus and minimising any waste. In fact Lean is more focused on the mindset and thinking which overlaps brilliantly with regards to any Agile framework as both is based on the same principles and values. Is this good project management training? Project Managers can certainly benefit from Agile training as well as training in the most popular frameworks, SCRUM and KANBAN. Project Managers can specifically benefit from the mindset changes required to excel in Agile. 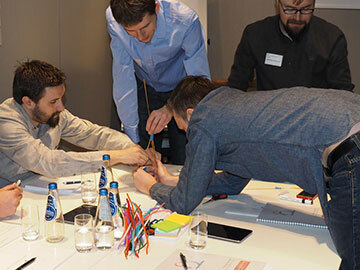 Agile Fundamentals course – A good introduction to Agile and to a few Agile frameworks. 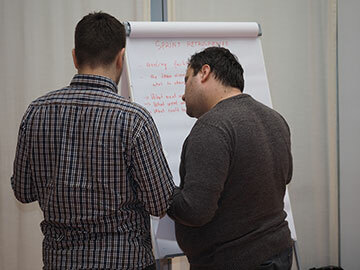 SCRUM training – Still the most commonly used framework in Agile. KANBAN training – A very popular Agile framework that can be applied to any area or work stream (including HR, Marketing and Finance). Certified SCRUM Master training – geared towards the Scrum Master role, yet extremely valuable for any member of the Scrum Team. 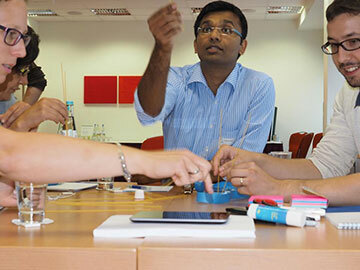 Certified SCRUM Product Owner training – geared towards the business and management role within the organisation yet valuable for the Project and Program Management role within the organisation. 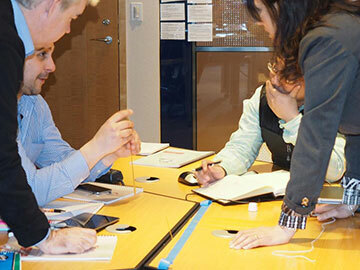 We would also recommend the training to innovation driven teams. Is this good software tester training? Software Testers will certainly benefit from Agile training (Including SCRUM and KANBAN), but also from the ICAgile TST course which specifically focusses on the role of a Tester within an Agile environment. Is this good software development manager training? Agile is most commonly used within the software development space. Agile training is a must for any role within the software development industry as Agile is the start of continuous delivery which is giving organisations a competitive edge. Software Development Managers can certainly benefit from this training course. In fact the Certified Product Owner and SCRUM training would be our first recommendation for Development Managers. Is this good Agile training for developers? Is this SETA certified training? Agile training in South Africa is not yet SETA certified. The DVT Academy is in the process of getting the Agile training within the Academy SETA certified. Does the training address Agile coaching? Agile Coaching is very specialised and is a natural career path for good Scrum Masters and Facilitators. DVT does present Agile Coaching training on request. It is ICAgile Certified training. You are welcome to contact us to elaborate on this subject. DVT is considered as thought- leaders in the Agile Coaching domain. Does the training address Agile organisational transformation? The Agile training does not address organisational transformation as a learning objective, yet touches on some of the elements. We would recommend that you contact DVT for a free 1-hour session to discuss organisational transformation. DVT is considered as thought-leaders in the Agile Coaching and transformation area assisting a number of clients with this challenge. Does the course address Agile tools? 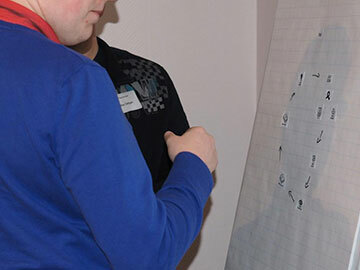 The course does not address Agile tools, however the Agile Coach and trainer can give you certain recommendations.